Our professional technicians at Oakville Appliance Repair provide expert Bosch fridge repair and maintenance services for home and business owners in the Oakville area. We offer 24/7 same-day emergency service, call us to schedule an appointment. 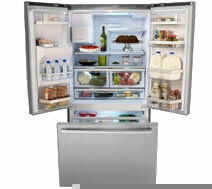 Bosch is one of the most premier and reliable brands on the market and our technicians are Bosch fridge repair experts. Our staff has extensive repair experience with a variety of styles including French door, side by side, and bottom freezer options with or without ice makers. 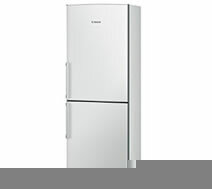 We offer Bosch fridge repair for a wide variety of options in their current line with French door, bottom freezer, and side by side. Call us to schedule an appointment with our licensed professionals and get trust us to provide exceptional service for your Bosch fridge. 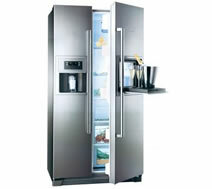 Bosch French door fridges are the most high end style of refrigerator that Bosch has in production at the current moment and tend to possess more features than their other models. Trust our accredited technicians to provide expert Bosch fridge repair services, call us book an appointment! Bosch Side by Side refrigerators are carefully designed to take advantage of the benefits that this style has while adding features to help with the disadvantages such as having adjustable shelving to maximize space. 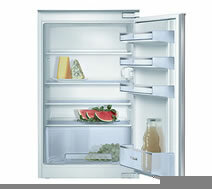 Call us to book an appointment and trust expert our technicians for all your Bosch fridge repair services.